The Community Media Center of Marin empowers Marin residents, local schools and governments with the education and access to media production tools to communicate effectively with the Marin community through media. Click here to read the full story. Host your own TV show; take classes in camera, editing, lighting, sound, web media, and other topics; crew on productions; network with other media-makers...and much more! Sound interesting? You can do it all by becoming a CMCM member. Create your own media. Check out what courses we offer, what types of production equipment members can use, and how to best utilize the facility. Click on the Create section to sign up for workshops, make equipment reservations, and download forms and manuals. Marin TV is a platform for local residents and organizations to discuss the issues that reflect the realities of their lives. 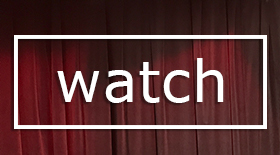 Watch our live streams, see what's coming up on the schedule, or check out our on-demand videos that have been produced by community members. How do I watch Marin TV?